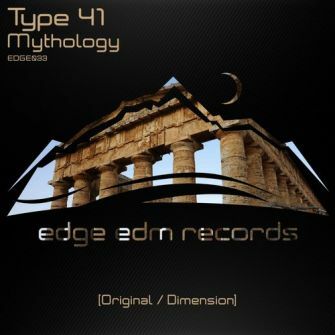 A resident on our sister label, Abora Recordings, Type 41 is debuting on Edge with an outstanding uplifting creation, that will certainly take you back to antiquity. Mythology was especially designed for those who desire to travel back in time, accompanied by magic melodies and pumping beats in order to feel a tension of outburst. For our remixer, we have the very talented artist from Spain, Dimension, who comes with a very different approach that certainly surprised every trance fan. His ability to combine different sub-genres is simply unbelievable, and he proved it by making this beauty, which was featured on both A State of Trance radio and Armin van Buuren's prestigious and highly acclaimed A State of Trance 2014 mixcompilation. This release also includes the Dimension Radio Edit released by Armada on A State of Trance 2014. Be sure to keep an eye on these pure talents.